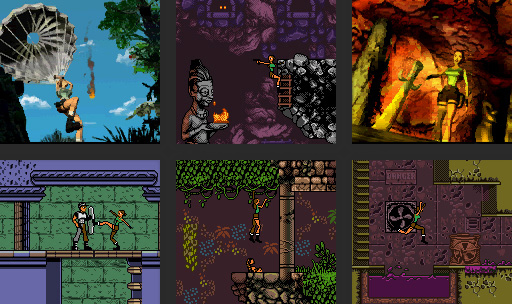 In addition to the major entries in the series for computers and consoles, there have been a number of smaller Tomb Raider games designed for mobile gaming. This page covers the Game Boy Color and Game Boy Advance titles. Follow these links for Nintendo DS and Mobile phone. 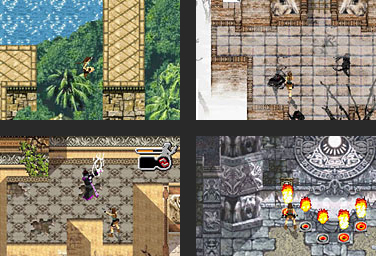 See here for Lara Croft and the Guardian of Light for iPhone, iPad and iPad Touch. Several sites, including Vizzed Retro Game Room now offer free online play. 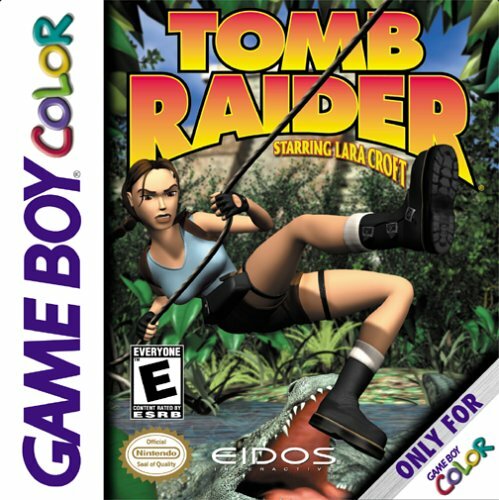 In the first GBC game, Lara Croft goes to South America in search of the legendary Nightmare Stone, reputed to be the magical prison an evil god. 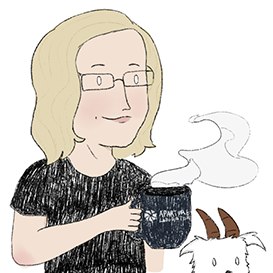 She explores ancient ruins; dodges enemies like scorpions, snakes, mummies and skeletons; solves puzzles involving keys, switches and pressure pads; avoids traps, including deadly spikes, crumbling floors and searing lava—in short, everything you'd expect from a Tomb Raider adventure...only smaller. The game includes 14 levels (each with multiple maps) on five different types of terrain. In the sequel, Curse of the Sword, Lara must face a sinister New Orleans-based cult in order to learn the secrets of a mysterious sword and save her own soul from its curse. 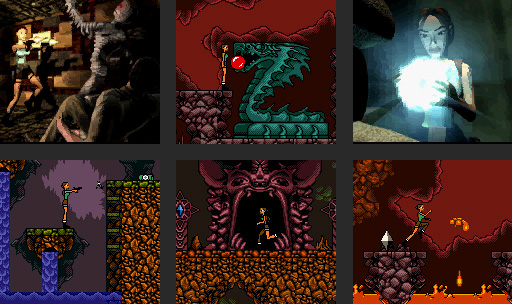 There are nine puzzle- and trap-filled levels, each with multiple maps to explore. At the time it was released, Daily Radar said the game had "the best visuals the Game Boy has ever seen, bar none." Personally, I'm amazed at how well the designers have captured the gestalt of Tomb Raider using the smaller format. Controls, Tips & Strategy - Includes detailed info for both Game Boy Color games. Maps Index - With these detailed maps of all the levels, you may not need the written walkthroughs. 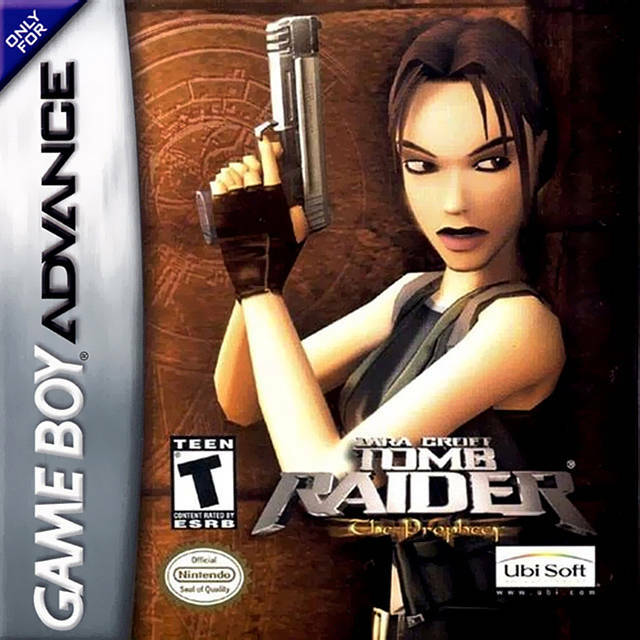 Tomb Raider: The Prophecy Info: The first Tomb Raider for Game Boy Advance includes some traditional tomb-raiding elements, like running, climbing, jumping, puzzle solving, switch pulling and two-pistol combat. But unlike the previous, side-scrolling GBC adventures, this game has an overhead perspective that allows players to move Lara more freely in her environment. The storyline involves a mysterious cult's attempts to awaken its spiritual leader and precipitate Armageddon. I was not as impressed by this game as by the previous titles for Game Boy color (above). But for those who need their Lara fix, even on the go, it's worth a few bucks and a few hours. Along with the screenshots below, you can find more info and media at IGN Pocket and GameSpot. Each level's title is actually a four-letter password that allows you to access it at any time. See the Pause Menu and Password Screen section of the Controls page for more info. 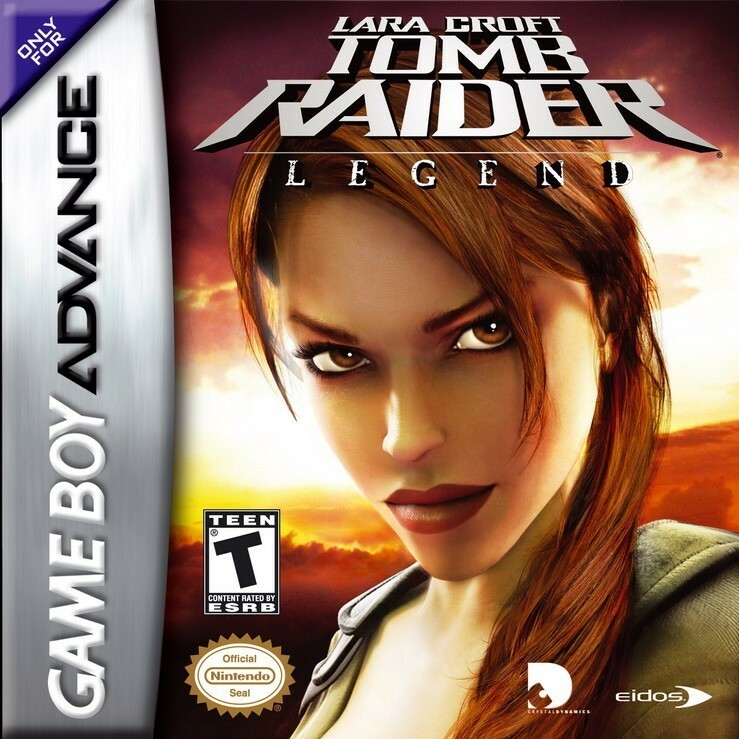 Tomb Raider: Legend GBA Info: In my opinion, the GBA version of Legend isn't a bad game but it isn't great. It tries to follow the basic Legend storyline but without the long, detailed cinematics, the complex plot is unintelligible. So unless you've played another version of the game, you'll have no idea what's going on. The cut scenes are handled well visually—with nicely illustrated panels showing the action, as shown below—but the printed dialogue is limited so you never quite get the gist of what's happening. The graphics and gameplay are just OK. The controls are fairly responsive, and there are some fun and challenging bits. But there are also a few spots where the poorly rendered backgrounds make it almost impossible to figure out what's a passageway, what's a ledge or switch, etc. Overall, I'd say go for the Nintendo DS version if you have a choice. For complete reviews, check out sites like GameSpot and IGN.